Buisness Description - Lexus Granito is engaged in manufacturing, trading and marketing of vitrified ceramic tiles and wall tiles for the domestic and international markets. Till date we were outsourcing manufacturing of wall tiles to third party manufacturers, however recently we have set up our own wall tiles manufacturing unit at our existing facility thereby integrating our operations and strengthening our routes in the industry. Our manufacturing facility is situated at Morbi, Gujarat and is spread over more than 4 hectares. Our manufacturing facility is well equipped with requisite plant and machineries and other facilities. We also have an in-house laboratory, enabling the company to develop new colours, besides facilitating conducting of tests and analysis of various products. Our quality system with respect to manufacture of our products has been ISO 9001:2008 certified. Further we have also been issued Certificate of Compliance by UK Certification & Inspection Ltd for our quality systems covering the design, manufacture and final inspection of the products. 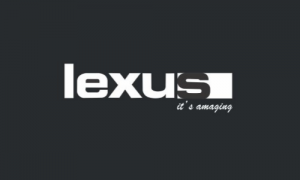 We manufacture and market our products under the brandname ―Lexus. Our Company has been catering to both domestic and international markets. Our revenue from domestic and export operations contributed 35.51% and 64.49% respectively of our total revenue from operations for the year ended March 31, 2017. During FY 2017, we exported our products to various countries such as Saudi Arabia, Mexico, Kuwait, Oman, etc. We have been recently been recognized as Two Star Export House by the Directorate General of Foreign Trade vide certificate dated February 08, 2017. Lexus Granito IPO allotment status is now available on Bigshare Services' website. Click on this link to get allotment status. Please Add my no. To whats app group. Pls add me in group 9925550444. Add me to whatssap group = 9314927386. What is the grey market premium ?? Should we fill the ipo or not ?? Lexis me kya grey market premium chal raha hai? Is this a good investment? Lexus ki gmp kya he? As it is SME IPO yes always minimum shares for 1 Lakh+ will be applicable. Surprised to note that minimum share-bid(lot size) is 3000 nos amounting to Rs 135000/. Is it correct !! Will you confirm pl ! !